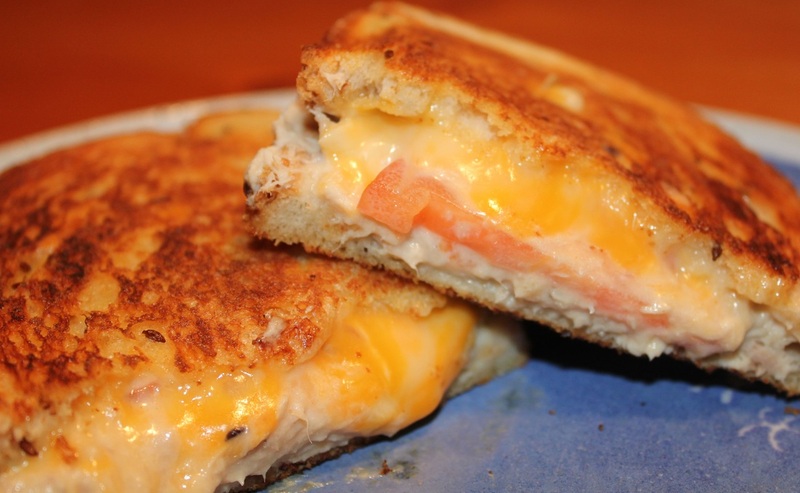 I always think of a tuna melt as an adult version of a grilled cheese sandwich. Serve this comfort food with soup or salad. Personally I like it with Tomato and Roasted Red Pepper Soup. In a medium size bowl, mix the tuna, mayonnaise and green onions. Apply buttery spread on one side of each piece of bread. Spread tuna mixture on to the plain side of 4 pieces of bread. Layer the tomato, cheese and a bread slice (plain side down) on top of the tuna. Heat a skillet over medium heat, cook sandwiches until golden. Carefully flip the sandwiches, cooking until golden on the second side and the cheese has melted.